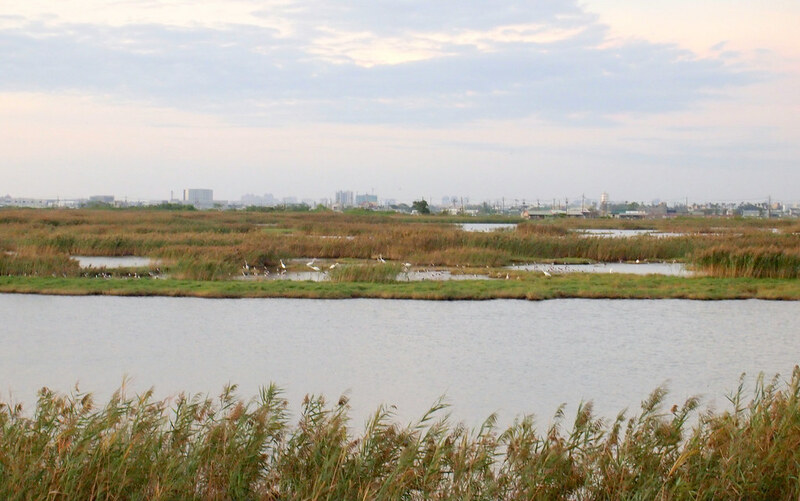 [Aichi Biodiversity Targets] From participating in international conservation to the Satoyama Initiative: How does Kaohsiung become an eco-city? In recent years, Kaohsiung City Government (KCG) has been actively promoting the goal of becoming an “eco-city”. After the KCG merged with the surrounding Kaohsiung County Government, the government's administrative area expanded to include the countryside and surrounding mountainous regions as well as the metropolitan area. The diverse natural landscapes in Kaohsiung now include mountains, hills, badlands, plains, wetlands, and much more. Despite being a major industrial city with almost 3 million residents, Kaohsiung has mountains, rivers, and sea ports, together creating an environment rich in both culture and nature. Through active international participation in recent years, the KCG has vowed to become an international city devoted to planning and managing global changes and biodiversity conservation. The KGC is planning wetland and park restoration projects to mitigate the extreme weather that accompanies climate change. Kaohsiung is keen to transform itself into an eco-city, where humans and all other life forms coexist in harmony. Core to achieving this vision is to interconnect all parks, conservation areas, and wetlands in Kaohsiung to form the “Kaohsiung Wetlands Ecological Corridor”. As for the work on biodiversity conservation, the KCG joined other cities around the world in signing the “Local Action for Biodiversity Memorandum of Understanding (LAB MoU)” in 2011. 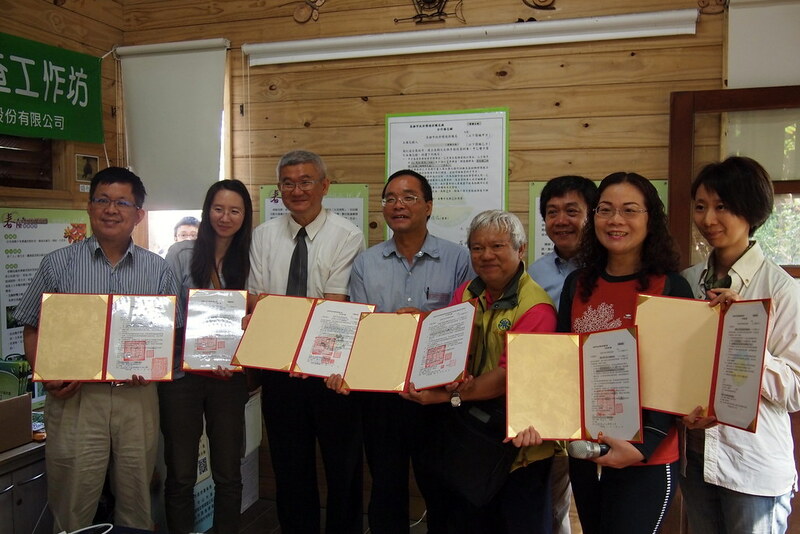 Signing the MoU demonstrates Kaohsiung’s pledge of enhancing local biodiversity conservation. LAB, shorts for “Local Action for Biodiversity”, is an international initiative jointly launched by International Council for Local Environmental Initiatives (ICLEI) and the International Union for Conservation of Nature (IUCN). This initiative provides an international networking platform for local governments willing to commit and assist cities around the world to improve and better manage local biodiversity conservation. Cities play a significant role in addressing current international environmental issues. Organizations comprised of cities and local governments such as ICLEI are valued by the UN for the initiatives that they take towards creating sustainable cities. 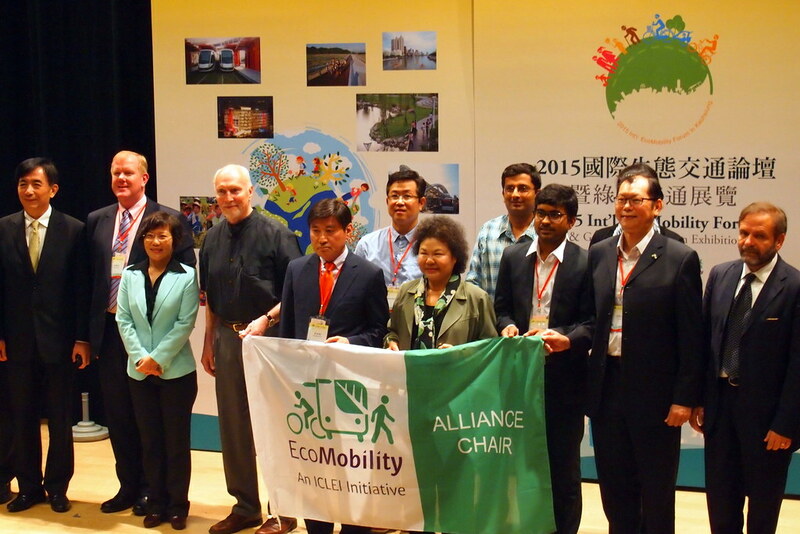 In 2012, several cities in Taiwan - including Kaohsiung, Taipei, New Taipei, Taichung, Pingtung, and Yilan - joined ICLEI. Together, these cities have participated in discussions and initiatives on environmental issues. The LAB MoU signed by the KCG pushes to accelerate local biodiversity conservation from a political perspective. Signatories should work to consolidate administrative divisions at all levels to create a biodiversity action network, which would facilitate a better understanding of the issues, and thus be able to more thoroughly incorporate biodiversity in governing. To achieve these objectives, the KCG proposed the three-year “Kaohsiung Biodiversity Conservation Short-Term Action Plan” in 2012. During this period, an interdepartmental task force was established and the KCG’s Sustainable Development Committee was put in charge of coordinating the interdepartmental meetings, examining Kaohsiung’s biodiversity conservation, resolving operational problems, as well as making improvements to the action plan. Seven strategic directions have been set by various governmental departments, according to the KCG’s 2015 report. They are: (1) sustainable resource management, (2) environmental education, (3) ecology-oriented engineering, (4) urban land-use plan, (5) traditional ecological knowledge, (6) stronger partnerships, and (7) integrated information management. Eighty five out of the one hundred and seven projects proposed by the various divisions were accomplished within the three years. The KCG’s initiative towards biodiversity conservation involves actions from every department. These include developing a biodiversity database for Kaohsiung City; designing a biodiversity map app for smartphones; managing the “Kaohsiung Wetlands Ecological Corridor” and green spaces and parks; collecting and organizing marine biodiversity resources; hosting community ecology survey workshops; signing the “ecology survey memorandum” with local NGOs; managing conservation areas and natural landscapes; preventing and managing invasive species; and preserving Hakka and indigenous knowledge of biodiversity resources. Amongst these initiatives, the development of the Kaohsiung biodiversity database sets a cornerstone for future conservation actions and policies. In 2011, the KCG commissioned the Kaohsiung Wild Bird Society (高雄市野鳥學會) to conduct surveys on Kaohsiung’s biodiversity. This survey collects basic information on local ecological resources. Later, the information was transformed into e-books and apps for smartphones. This may enhance local residents’ understandings towards Kaohsiung’s biodiversity. Furthermore, local biodiversity hotspots and ecologically sensitive areas can be identified for future development reference after setting up this biodiversity database simply by overlaying conservation layers with urban planning layers. In order to expand the contents of the database, the KCG invited the Forestry Bureau of the Council of Agriculture, the Endemic Species Research Institute, the National Parks Division of the Construction and Planning Agency, the Water Resources Planning Institute of the Water Resources Agency, and the Research Center for Biodiversity of Academic Sinica to join this work. These institutes work side-by-side on how to exchange and share the information collected. This is to ensure that the Kaohsiung Biodiversity Database is comprised of all the essential information. Currently the database collects over 145,000 records of 2,522 species. Kaohsiung is home to two endangered species, the Formosan black bear (Ursus thibetanus formosanus) and the Eurasian otter (Lutra lutra). There are also nine rare and valuable species, such as the yellow-throated marten (Martes flavigula), the Chinese pangolin (Manis pentadactyla), and the masked palm civet (Paguma larvata). The geolocation of these species with other attributes of basic information are all displayed in maps. In addition to exchanging information with the central government to enrich the database, the KCG also signed agreements with eight local NGOs and communities to conduct ecological surveys. Through voluntary surveys, a community can not only help to update ecological information, but also provide a better understanding of the surrounding environment. This can be the foundation for developing an ecological community. 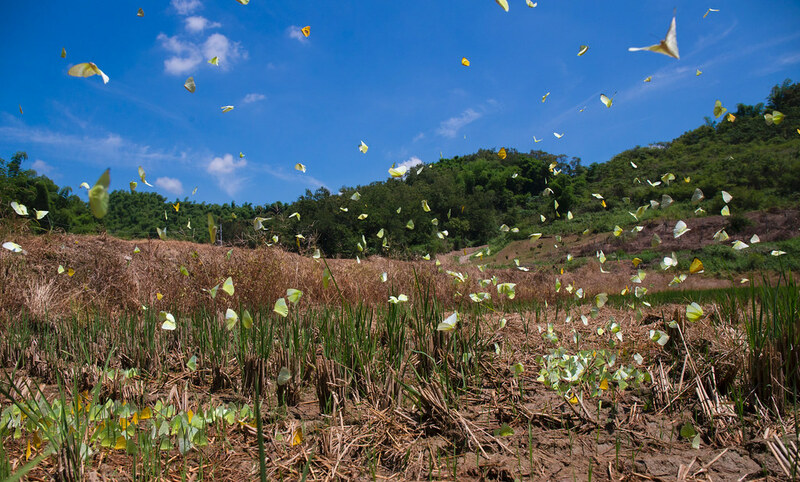 According to the "Kaohsiung Metropolitan Area Biodiversity Survey", completed in 2012, the areas with relatively high biodiversity in Kaohsiung are Yellow Butterfly Valley in Meinong (美濃黃蝶翠谷), Yuanjhonggang Wetland (援中港濕地), Jhouzai Wetland (洲仔濕地), and Banping Lake Wetland (半屏湖濕地). Meinong’s Yellow Butterfly Valley is a low altitude secondary forest, i.e., a re-grown woodland. The forest’s complex vegetation and environment makes it unique amongst other city parks and green spaces. The fauna is rich in diversity and it is one of the only areas with an old-growth forest in Kaohsiung. Meinong is located in a transition zone between foothills and plains, a region high in biodiversity, and an important agricultural production center. 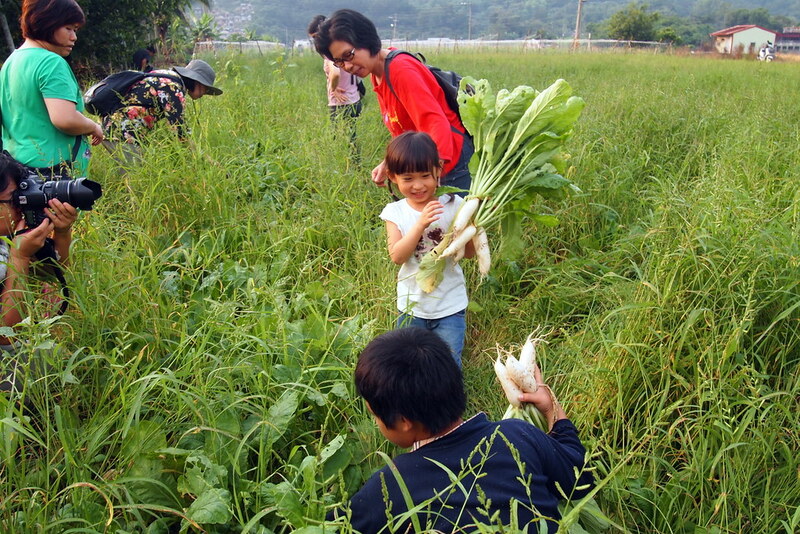 The KCG’s Agriculture Bureau initiated a localized “Satoyama Initiative” in Meinong in 2015. In 2017, the KCG worked with eleven farming households to implement this initiative. The goal is to bring in revenue to the farmers and to protect the foothill ecology by helping the farmers obtain Green Conservation Certificates to raise the value of the produce, as well as to offer farming tours. The participating farming households of the Meinong Satoyama Initiative keep a green belt that has attracted many bird species around their rice paddies. There have even been sightings of the rare Chinese black-winged kite (Elanus caeruleus), which forms the second rank of protected species out of a 3 tier system used in Taiwan. Local tea grove plantations that refrain from using herbicides draw many bird species, butterflies, and wildlife such as the crested serpent eagle, and indicator species like the Reeves's muntjac and the ornate rice-frog. These farmlands are both home to distinct wildlife and areas of food production. 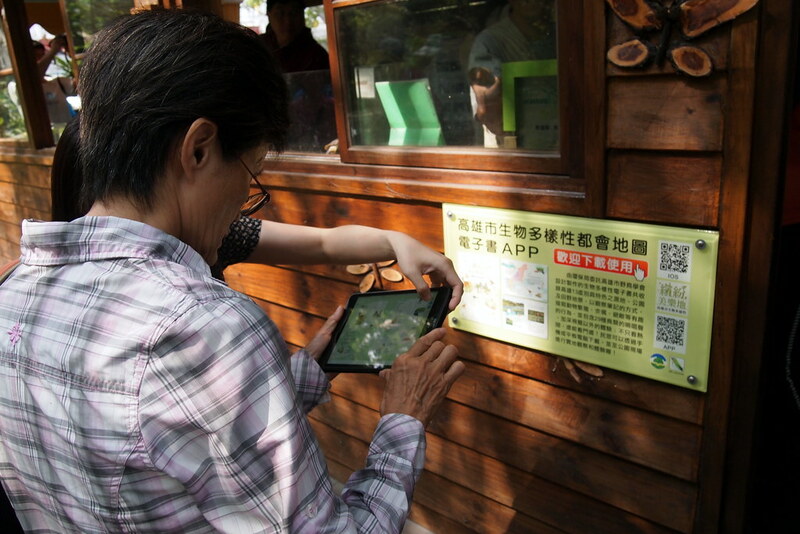 The popular farming day tour introduced by the Agriculture Bureau enables tourists to experience local cultivation and ecology. These tours encourage both the local residents and tourists to protect the landscape and thus fulfill the spirit of the Satoyama Initiative. From signing the LAB MoU to promoting the Satoyama Initiative in Meinong, the KCG’s policies and actions towards conserving biodiversity have been considerably successful. In the long run, however, whether or not conservation policies will continue to be expanded will require sustained management and supervision. Lin Kun-Hai (林昆海), an established conservationist, pointed out that the KCG was more active when it first participated in ICLEI and other international organizations. The KCG was committed to promoting biodiversity conservation policies across different divisions. However, since the short-term action plan was completed, the coupled policy packages are no longer being put into practice. According to Lin, the lack of follow-up policies have to do with the fact that Liu Shyh-Fang (劉世芳), the then Deputy Mayor of Kaohsiung, was a committee member of the East Asian branch of ICLEI. With her ceaseless devotion to promoting biodiversity conservation, Kaohsiung was able to develop and implement many relevant policies. However, it is a shame that this work seems to have stopped due to a change of division heads. For example, climate change increased torrential rain in Kaohsiung. Yet, the Public Works Bureau continues to use cement instead of trying to transform Kaohsiung into a “sponge city”. Additionally, the KCG decided to build Road 1-4 even though it cuts through important resting sites utilized by the black-faced spoonbills (Platalea minor) living in the Cieding Wetlands (茄萣濕地). Lin emphasized that biodiversity conservation should not be affected by the rotation of division heads. The administrative departments should work on mainstreaming biodiversity and making Kaohsiung an “eco-city”. Aichi Target 1: By 2020, at the latest, people be aware of the values of biodiversity and the steps they can take to conserve and use it sustainably. Aichi Target 7: By 2020, areas under agriculture, aquaculture and forestry are managed sustainably, ensuring conservation of biodiversity.